We are wishing you and your loved ones a very Merry Christmas that is filled with hope, love and laughter! Last week, Melissa delivered 87 hats for children cancer warriors at CHOC. 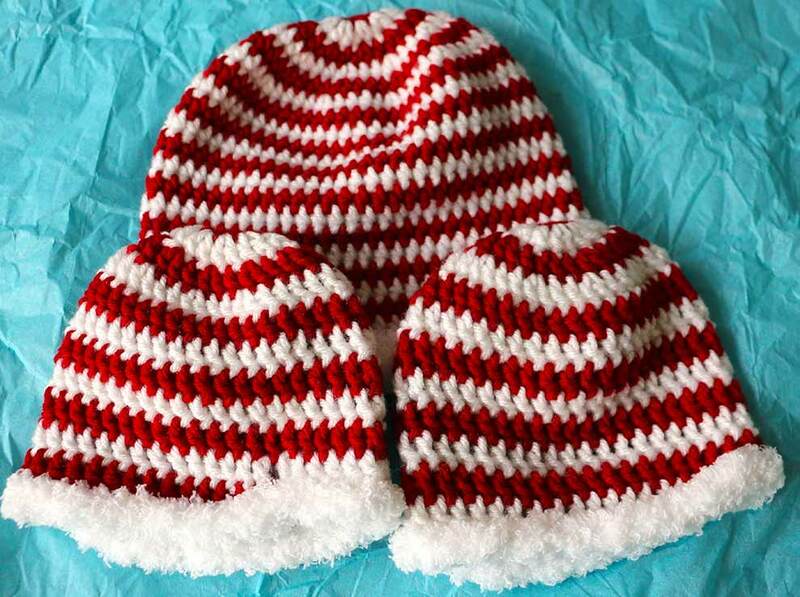 We hope that these hats will bring warmth, hope, and smiles to the special cancer fighters just in time for the holidays! This makes the “to date total” of delivered hats, blankets, and scarves 6,099! We are very proud of our team and community to make this possible! Wishing everyone love and joy! Late last week, we delivered these 9 blankets and 37 hats to our dear friend Melissa to take these into the babies in the NICU at St. Joe’s. I want to thank you for contributing the blankets, hats and positive thoughts to help us make this delivery possible. We are making a difference- that’s a fact! Let’s keep spreading hope in the world! I hope that you and your family had a nice Thanksgiving! I’m sending a small box this time, just 21 hats, but hopefully they will arrive in time for you to use them for Christmas deliveries! Thank you so much for all your hard work & making it possible for me to reach out to others in this small way. I pray each hat will bring comfort & warmth to each one it touches! God bless you & your family! We are in the midst of labeling the hats and getting them ready to be delivered this week! Thank you so much for being part of this team that spreads love and hope into the world! 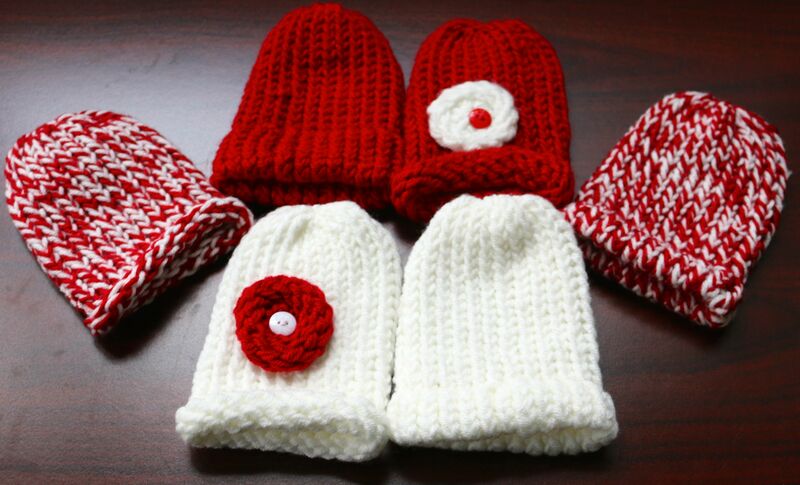 Our good friend, Dee sent us these lovely hats, scarves, <some even in sets> and hand cozies. All of her creations are so adorable and unique. Though we love all the hats, we are truly impressed with the hamburger and green hoodie. Here is my final shipment for 2016. All the 100% acrylics are in one bag. Be back with more in the Spring! We are so thankful for our generous friends and love your creativity. You are making a difference in this world with your good heart and love in action! We will be getting our hats and goodies ready for a huge December delivery! Thank you for helping us spread warmth, hope, and love! 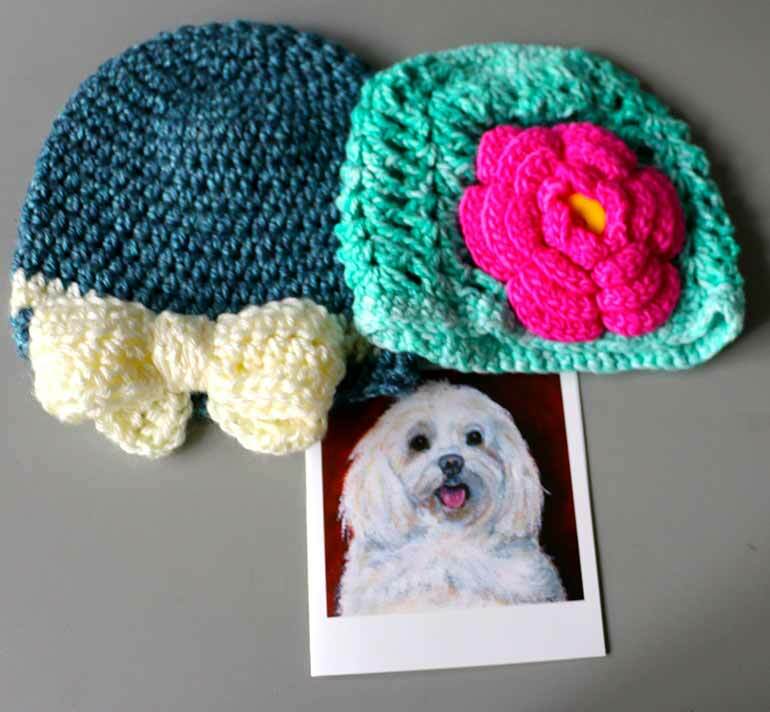 We received the most adorable hats from our new friend Rhonda in Orange, California. Rhonda truly has a talent– see her wonderful Minions pictured below. This dog hat is just so cute. Arguably one of the cutest ones we have received. She even provided some festive Christmas hats to include in the delivery. Thank you for helping us jump start the XMAS push. Thank you Knitting Rays of Hope for your service. It has been a pleasure for me to crochet hats for your foundation. Thank you Rhonda and keep up the amazing work. 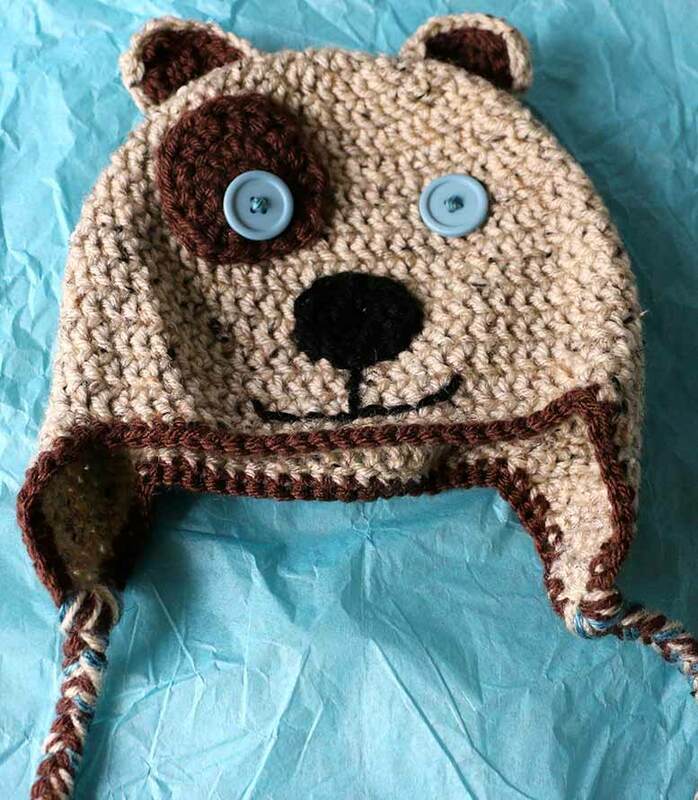 We hope that you will continue to send your adorable hats our way so that we can continue to include them in our deliveries. I hope that Rhonda has inspired everyone out there to get on their looms and keep making adorable creations for our Cancer Warriors. We were pleasantly surprised to receive another package, so quickly from Kate in Oklahoma. She sent us these 6 Christmas inspired hats for babies in the NICU, which we quickly labeled and included them in our December’s shipment. We are very thankful for friends like Kate, who are committed to spreading hope and making a difference in our world. Thank you, Kate from the bottom of our hearts!